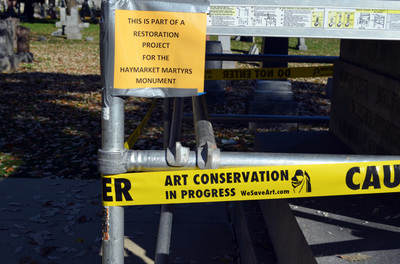 Damage of gravestones and monuments has happened because of weather and so many other conditions. Trees and floods have broken or toppled gravestones. Vandalism has caused huge damage. 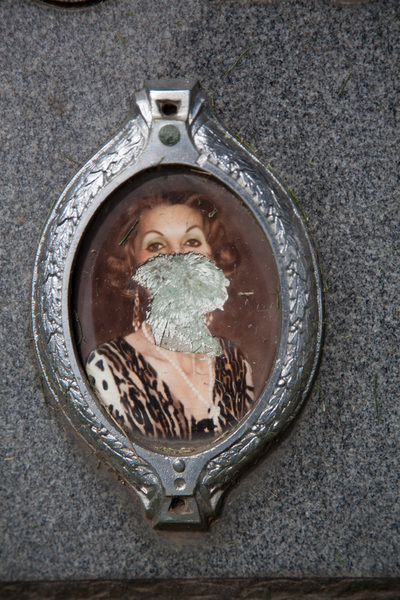 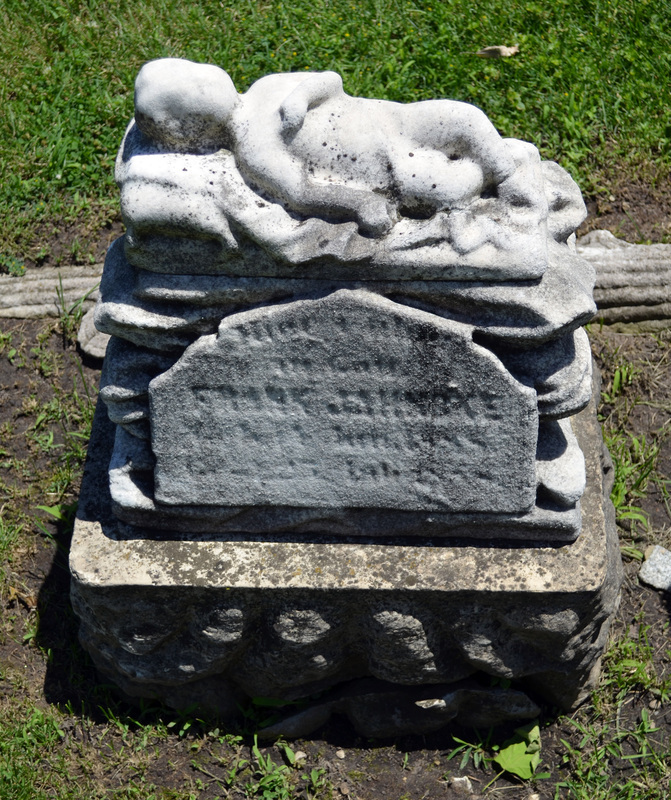 People have meandered through cemeteries and toppled gravestones. 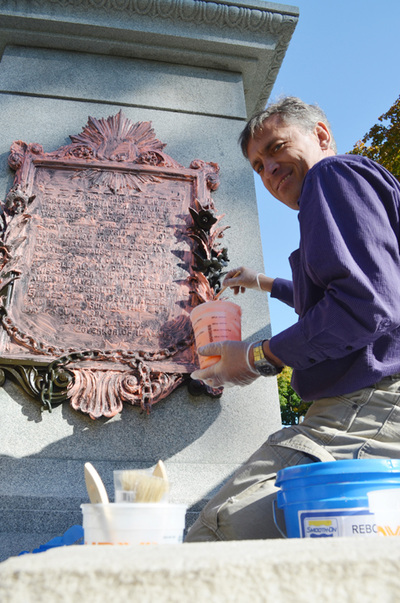 Spray can and other graffiti has defaced gravestones. 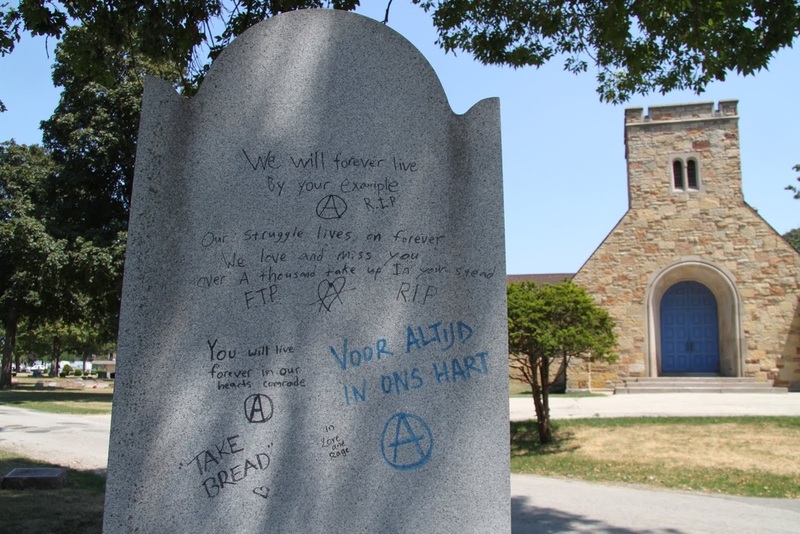 Swastikas have been sprayed on Jewish and other graves. 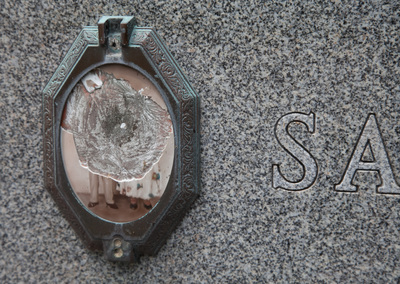 Bronze plaques have been stolen from graves and monuments. Bronze can be taken to scrap yards and sold for the value of that metal. 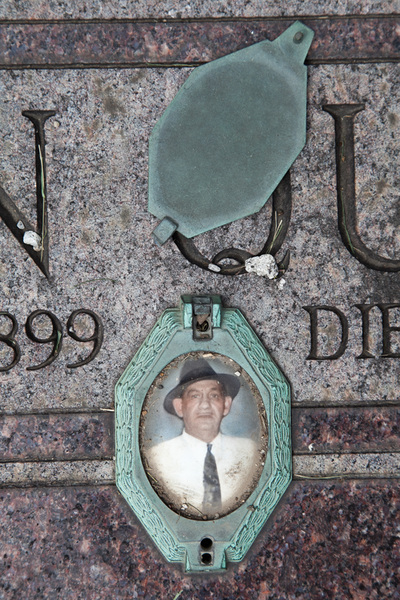 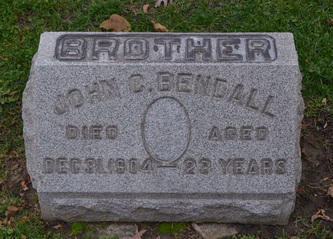 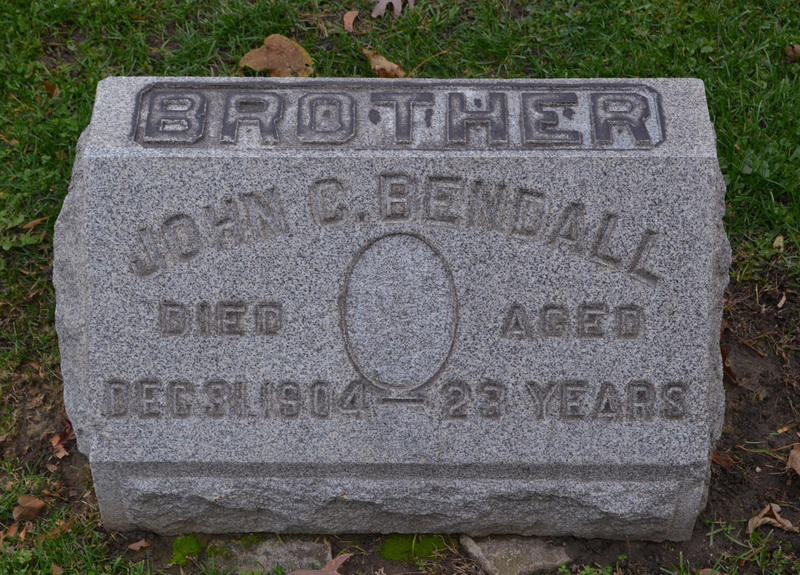 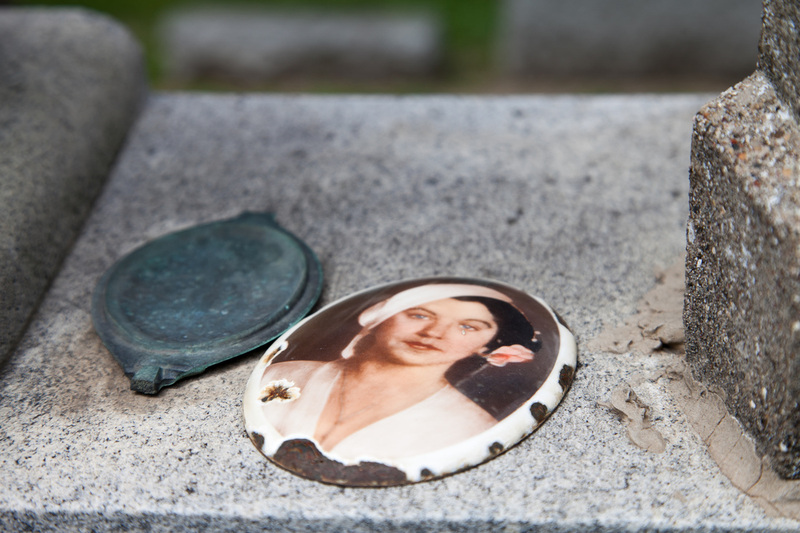 Cemeteries across the nation have lost so much bronze that many have prohibited families from including bronze on plaques or monuments. 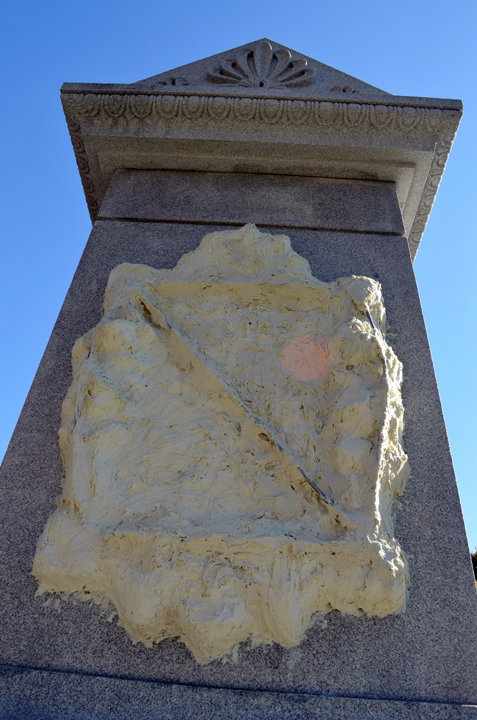 All stone breaks down over time but marble more than most other stone does what is called, "sugaring" or "pitting" which is a rapid wearing down of the surface over time. 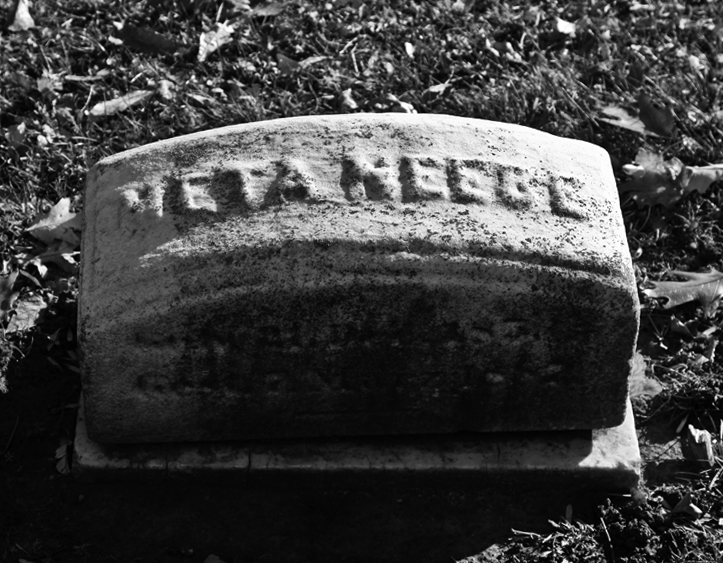 The gravestone for Meta Neebe, widow of Haymarket Martyr Oscar Neebe, is a prime example of this wear. 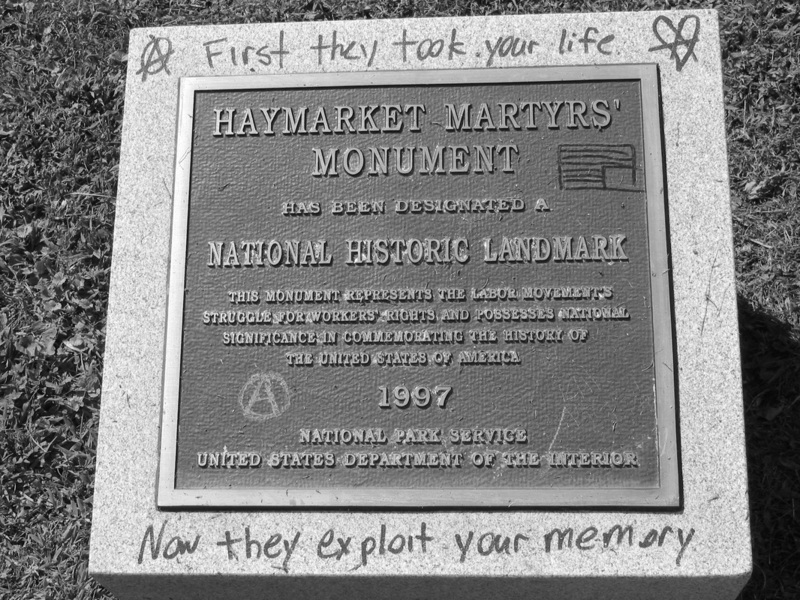 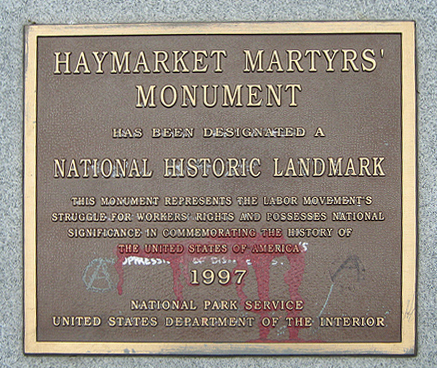 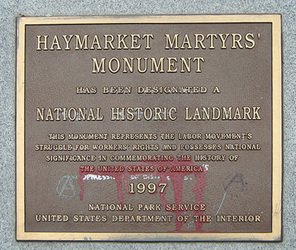 The Haymarket Monument and Radical Row are very frequently subject to vandalism. 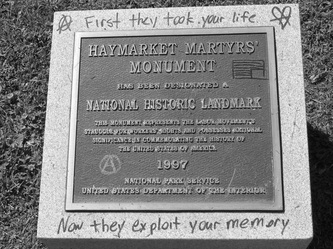 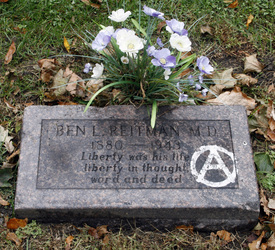 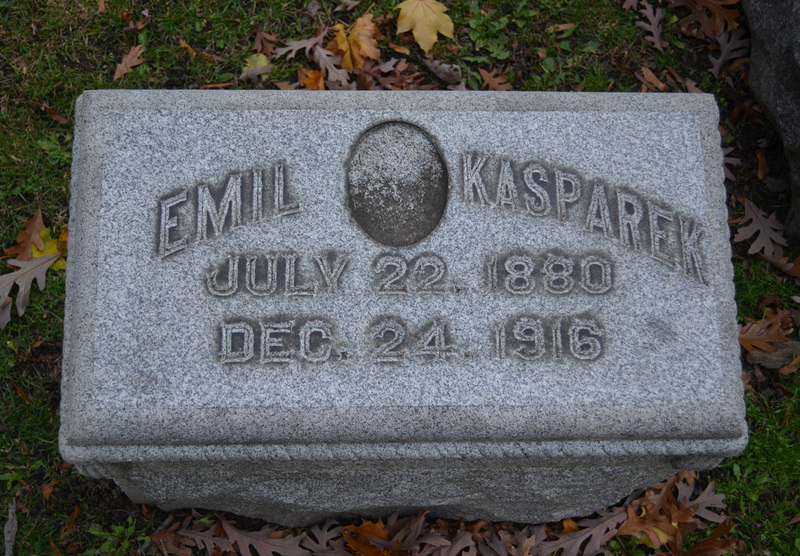 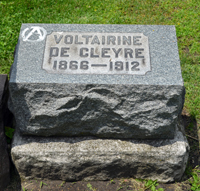 Circle A, the anarchist symbol and other political symbols are written regularly on the National Historic Landmark plaque, as well as the gravestone's of Emma Goldman, Voltairine De Cleyre and Ben Reitman. 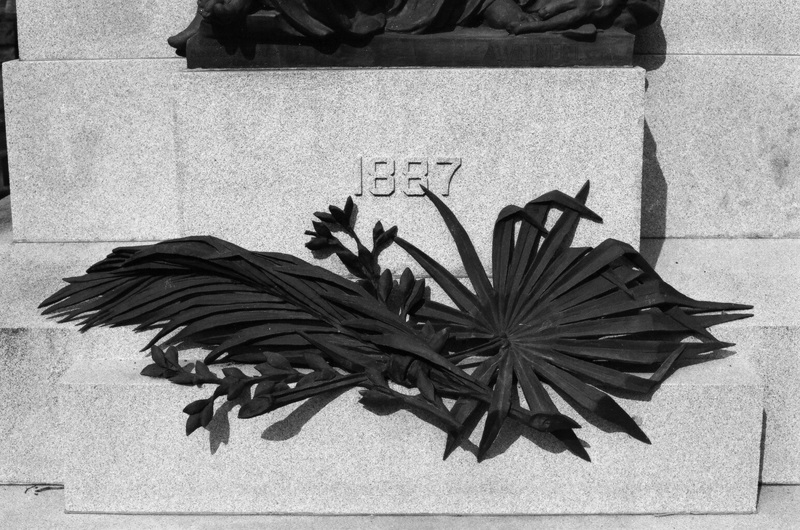 The worse damage done was in the 1980's when the bronze fronds and flowers was stolen from the front of the monument. 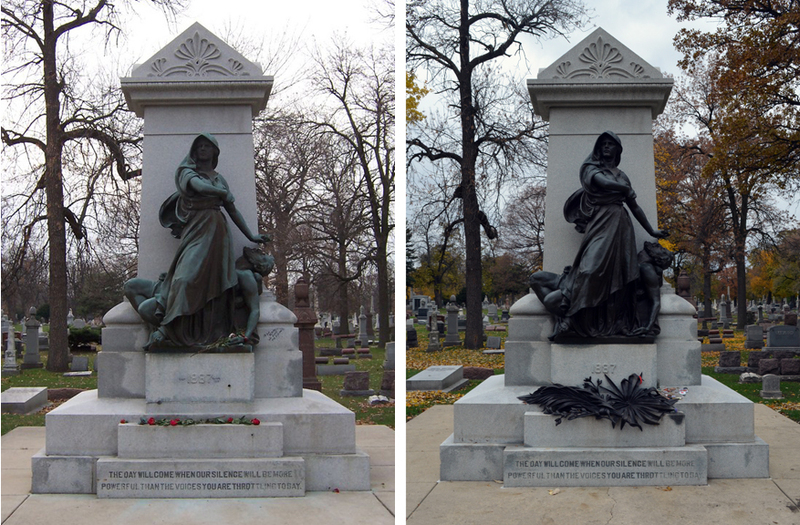 Around this same time a 21.5" x 9" bronze plaque on the rear with the names of the convicted men that were pardoned by Governor Altgeld was also stolen. 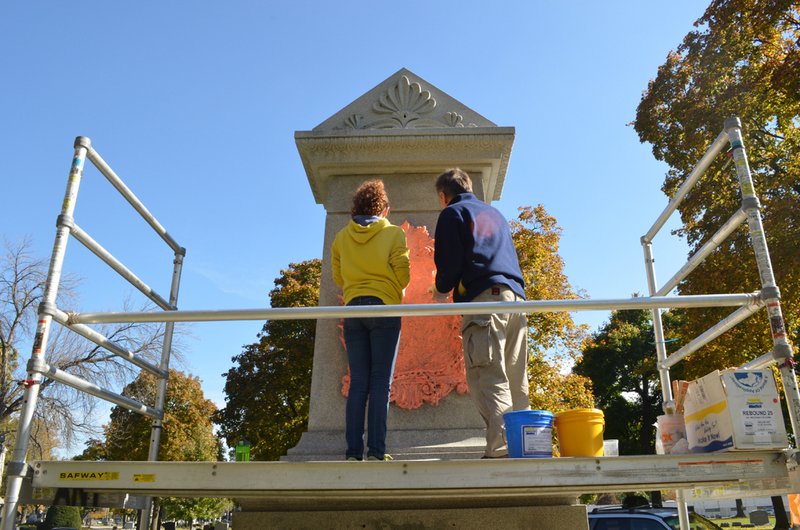 On the 125th anniversary of Haymarket the fronds and flowers were complete and installed Before the bronze was permanently installed, there was a rubber mold created of the piece. 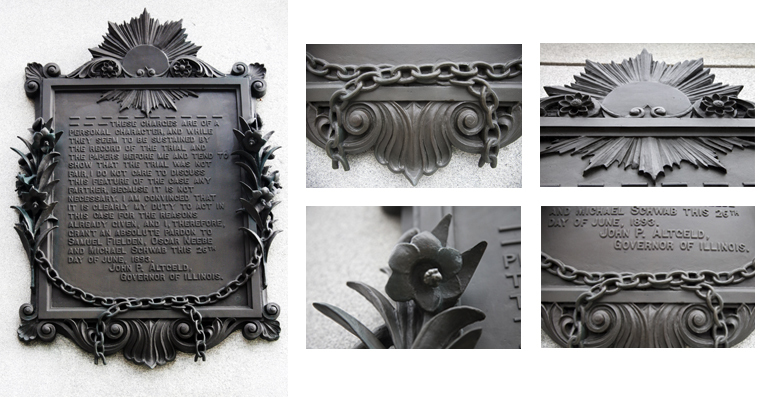 Were the laurel fronds and flowers ever to be stolen again, the cost and design of the fronds and flowers would be much easier to accomplish. 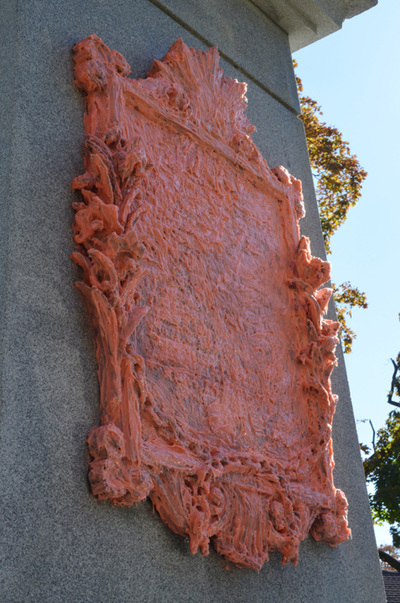 Once the mold was made of the laurel wreaths, the Illinois Labor History Society determined to create a mold of the large bronze plaque with the words of Gov. 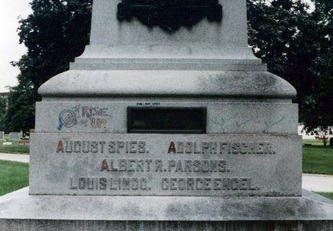 Altgeld on the back side of the monument. 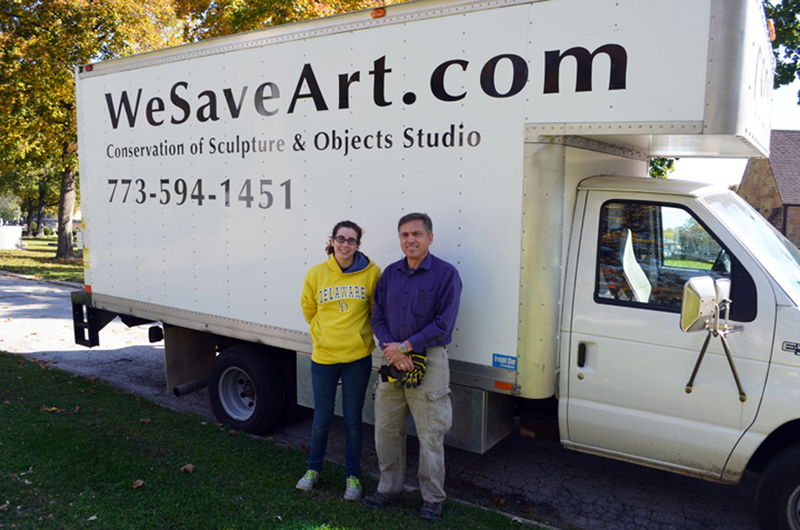 An online fundraiser put together the monies to hire Andrzej Dajnowski of Conservation of Sculpture and Objects Studio to create the mold. 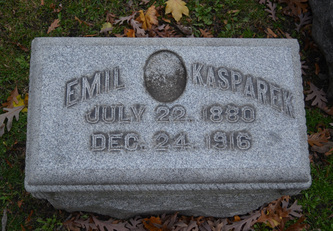 The process took six days to complete. 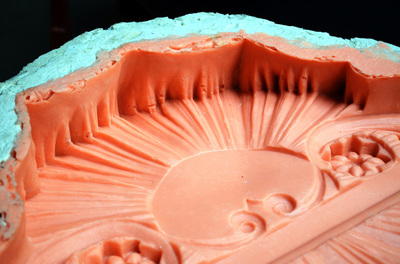 Below are photos of the process of making the mold.